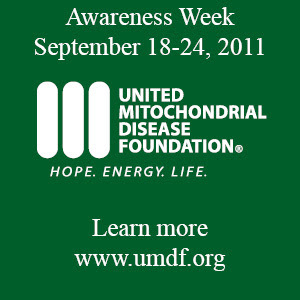 I am begging everyone to bear this burden of mitochondrial disease with us for one week! It is so easy! All you have to do is help us turn facebook green by changing your profile picture to the one in this post. Did you know.....80% of children diagnosed with Mitochondrial Disease before the age of 5 will not survive to see 20 years of age? If it was your child, would this statistic be acceptable to you? Ana has been sick since birth and was diagnosed at age 3! If this bothers you just a little, then help us spread the word! Change those profile pictures and spread awareness. Let's turn facebook green! Please visit www.UMDF.orgto learn about other ways to advocate for Ana Maria. The UMDF website will even assist you in sending a letter!